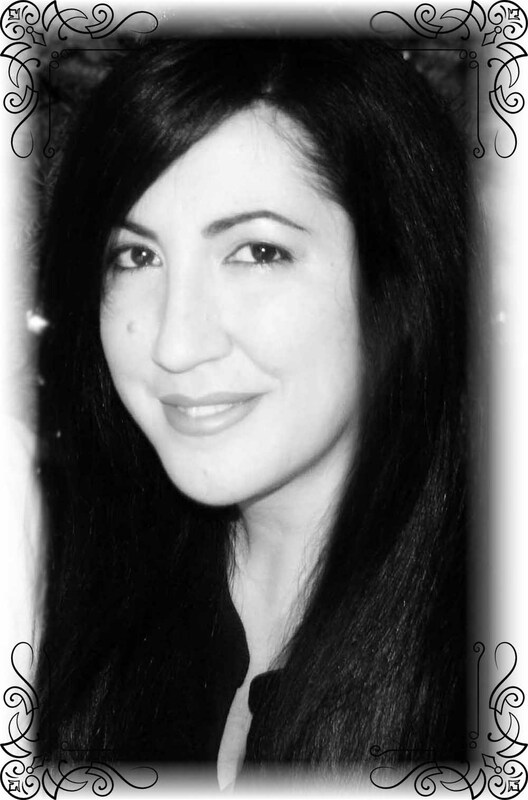 This Monday we want you to meet our new Guest Designer, Angelica Franssen. We look forward to seeing plenty of amazing Pion Design projects from her these upcoming weeks! Hello, my name is Angelica Franssen. I’m married and have 4 children that you may have seen grow up in my scrapbook pages. I’ve been scrapbooking now for 17 years and it’s become more than just a hobby to me. It’s moved into a small business where I can work and play! 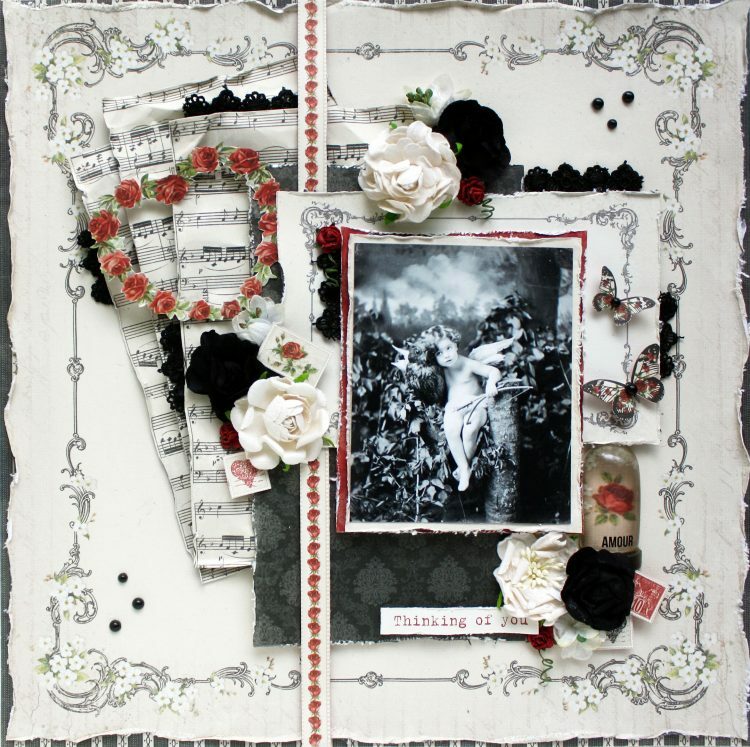 I’ve always had a passion for paper and it shows in my scrapbook style. I love lots and lots of paper layers and embellishments. I add a small touch of mix media to my projects not to overwhelm or cover the paper, but to accent it more! Pion has the most beautiful paper with it’s beautiful designs and colors! I am very honored to Guest Design for this amazing paper company! 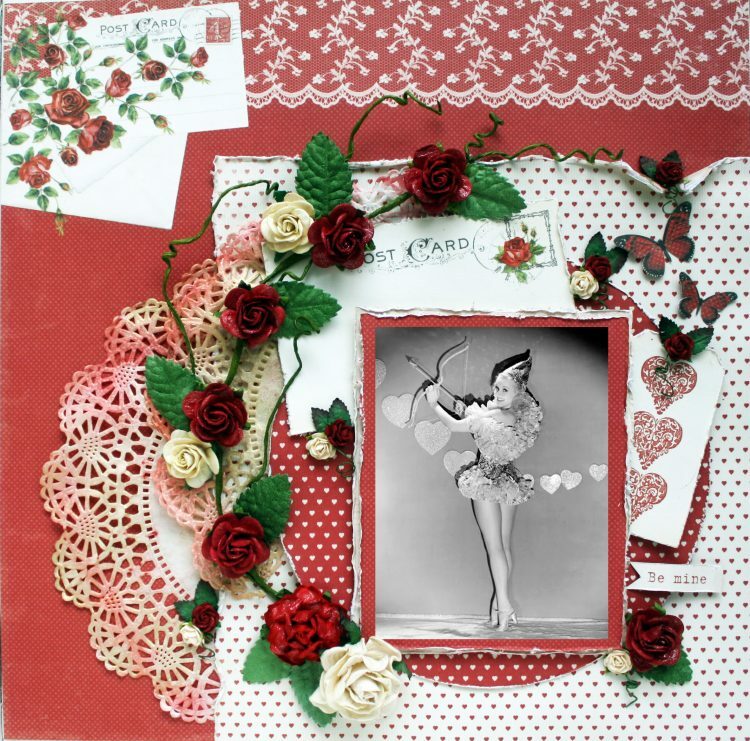 Here are a few layouts to share using the To My Valentine paper collection. This collection is so romantic with it’s lovely colors of red and cream. It also would work perfectly for concert themed pages. Sooo nice to see you here Angelica, and your work is so beautiful and well made in every little detail. 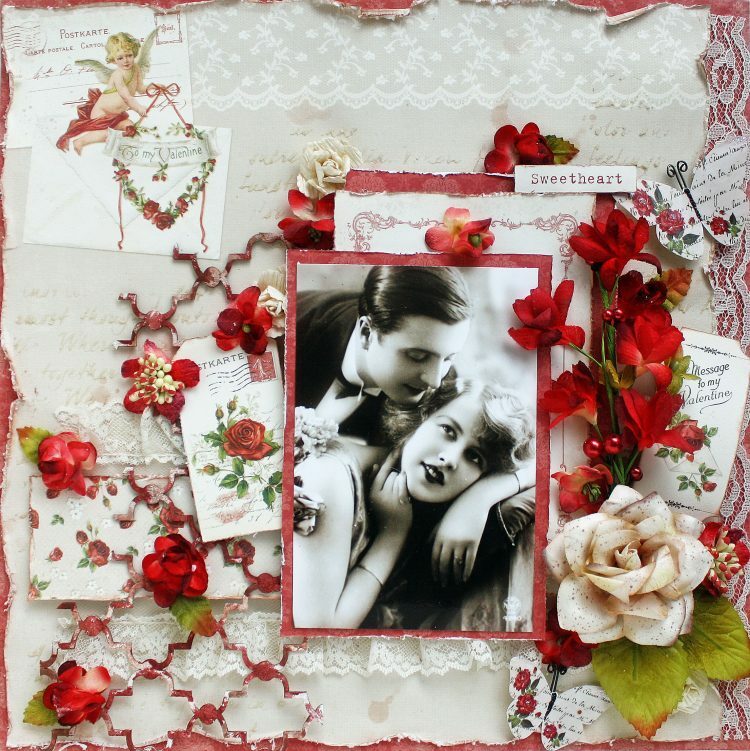 I love the romance, you´ve put into these LO´s here today and the warm and lovely colors on them too.